Given that it was pretty much a forgone conclusion, FIFA took their sweet time in surprising precisely nobody and bestowing Lionel Messi with their World Player of the Year award for the third time on the spin in Switzerland yesterday. 55 goals and 35 assists in 57 matches for Barcelona and a constant slew of nigh-on perfect performances within the year of our Lord and Saviour, 2011. It’s hard to argue, no? He’s also already installed as the favourite to win the damn thing next year as well. 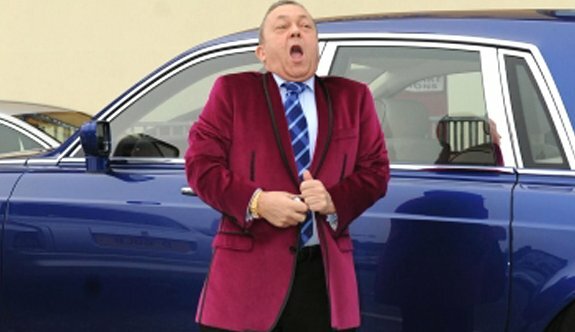 Now, where have I seen that jacket before? I like it! Nice change from the standard black suit/tux! this is getting dull… i only say this through jealousy that the worlds 3 best players play for 2 spanish teams. 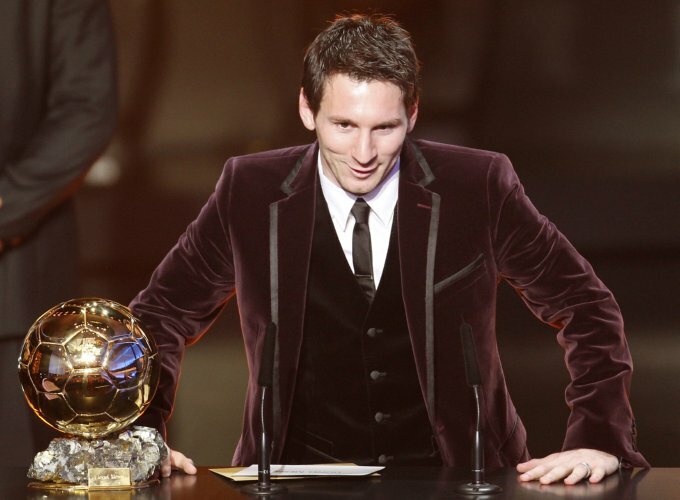 He’s got millions and he’s the best player in the world three times in a row, I think he can pull of the velvet suit if he wants to. ‘druff magnet. Don’t go to any bars with UV lighting Leo.